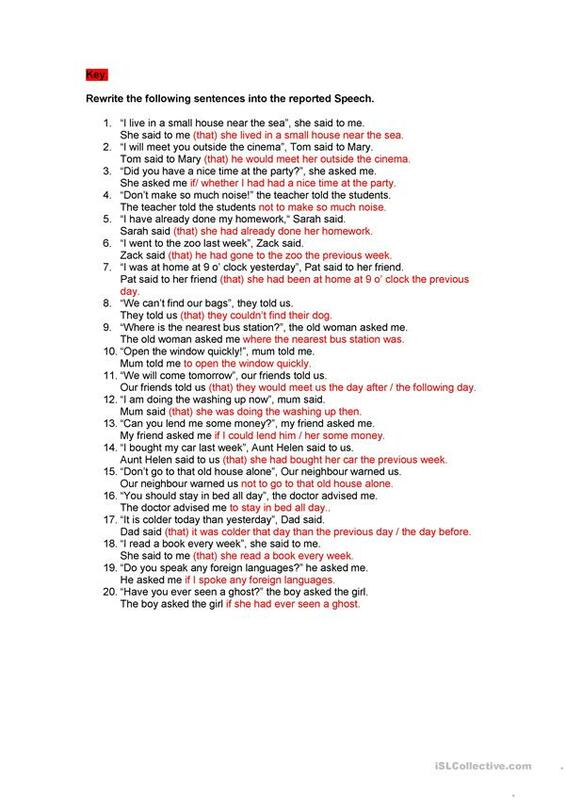 An exercise for practising Reported Speech in which students have to rewrite these sentences. The present printable, downloadable handout is recommended for high school students at Intermediate (B1) level. 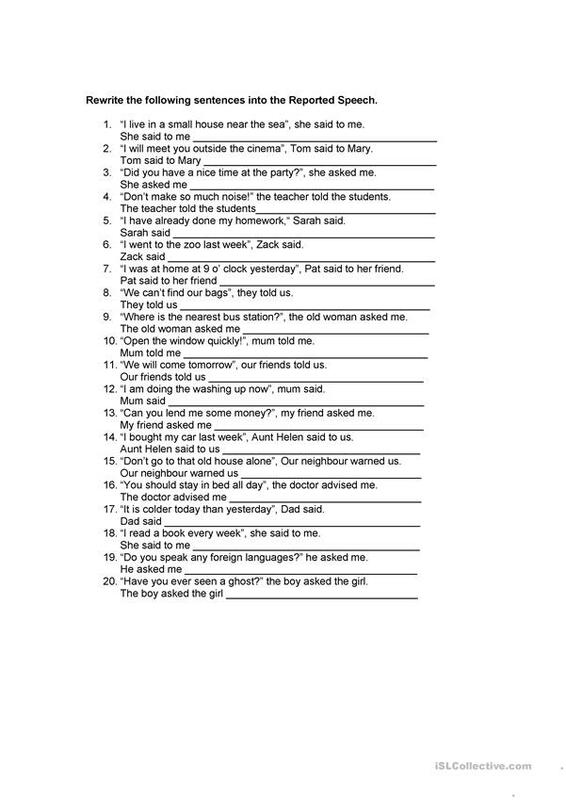 It is great for practising Reported Speech (Indirect speech) in English.